"Outrageous, breathless, voluble, fast-moving, funny . . . and always mercilessly candid." Chicago Tribune. 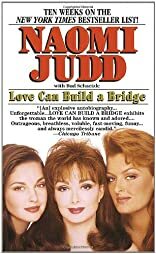 For eight glorious years, Naomi Judd and daughter Wynonna lived the American dream. Signed by RCA in 1983 after a rare live audition, they became country music's most honored and successful women -- winning six Grammys and selling more than fifteen million albums. Then the discovery of a life-threatening liver disease forced Naomi to retire. The Farewell tour of the Judds broke America's heart and ended one of the most beloved country music acts of all time. But Naomi never gave up. And here, at last, is her story, as touching as any of her songs: the true story of a mother and daughter who sang like angels and fought like devils, but loved each other through struggle, tragedy and triumph. About Bud Schaetzle (Author) : Bud Schaetzle is a published author. 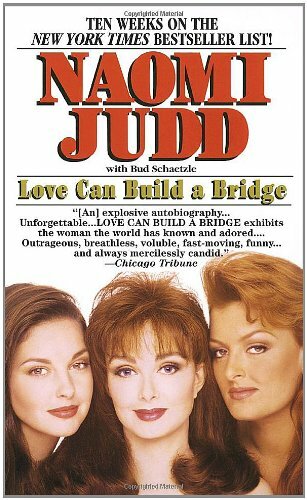 Published credits of Bud Schaetzle include Love Can Build a Bridge.